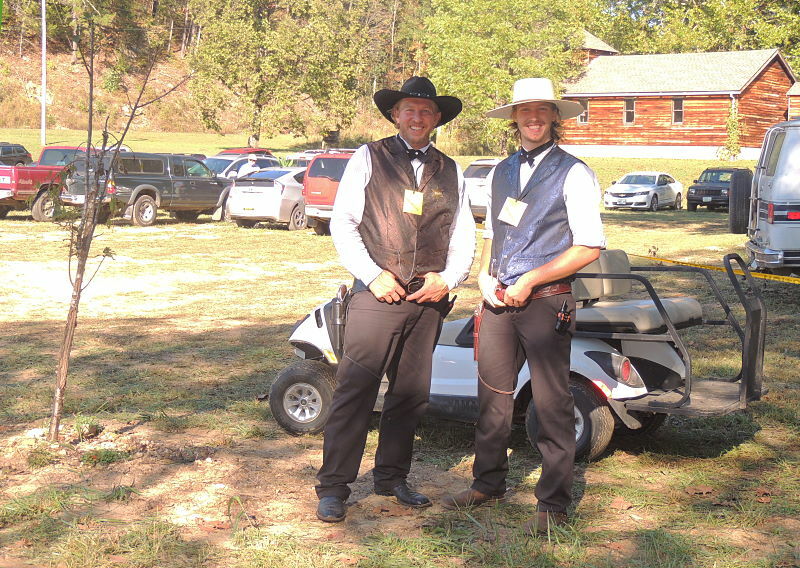 A couple of well heeled cowboys were the smiling greeters at The Pioneer Heritage Festival. 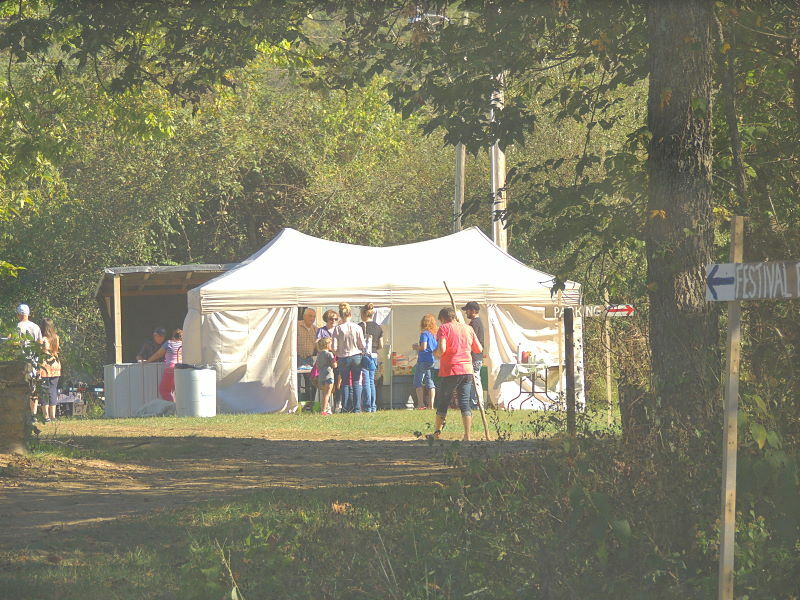 Festival tents seen from the highway. 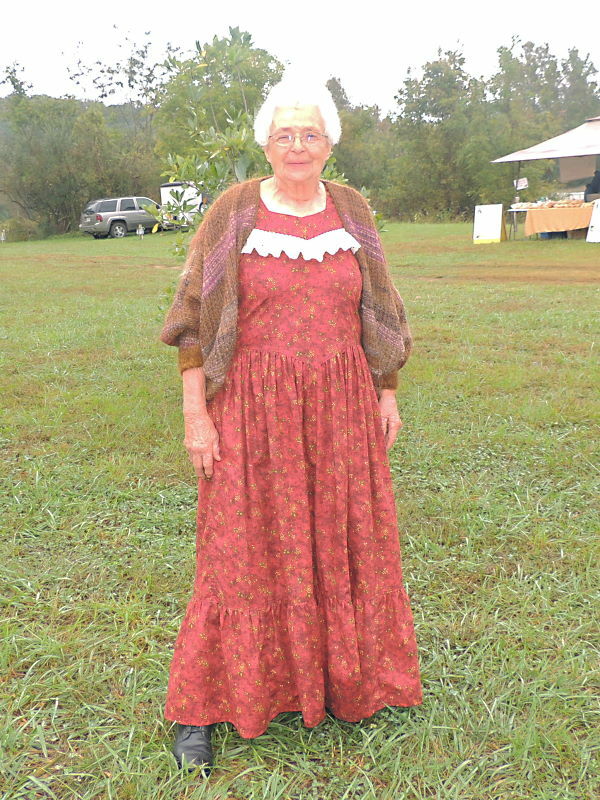 Louise the Potter in her period costume strolled the grounds. 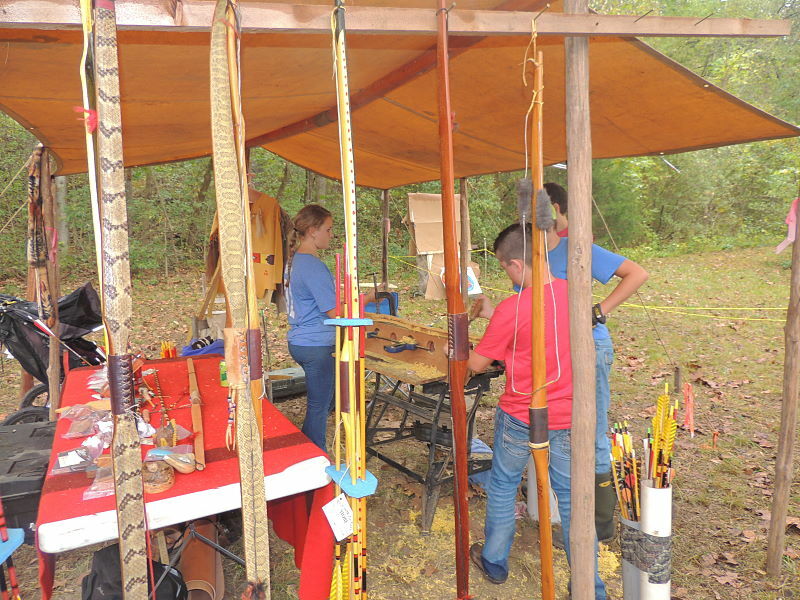 Bow making captured the interest of young people at the festival. 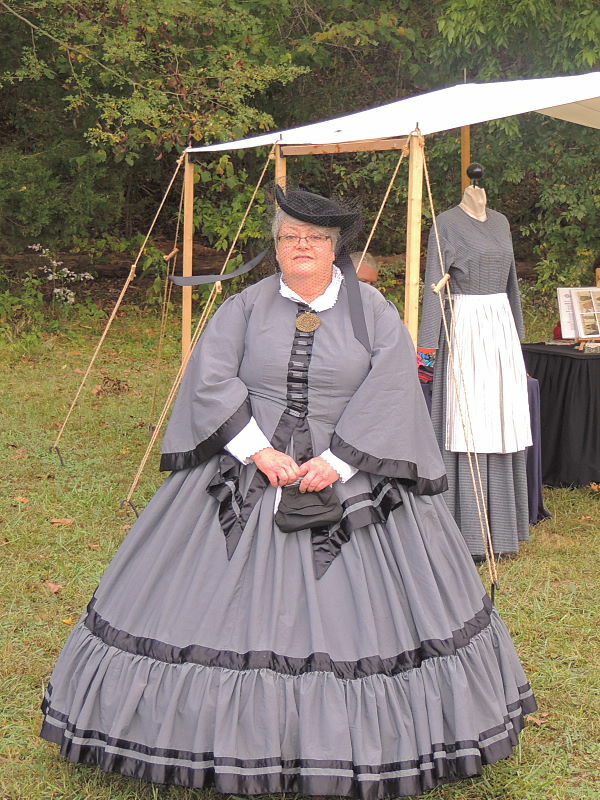 Mary Lou Price was resplendant in her hoop skirt at the festival. 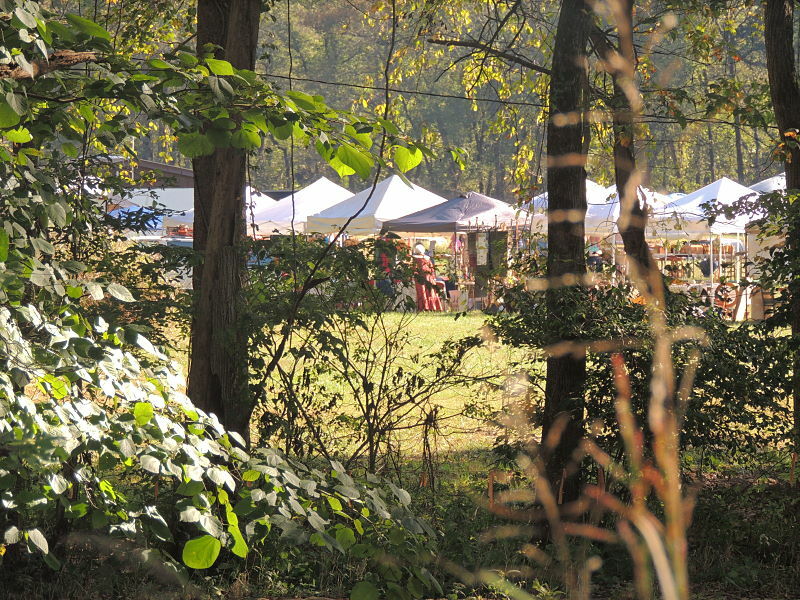 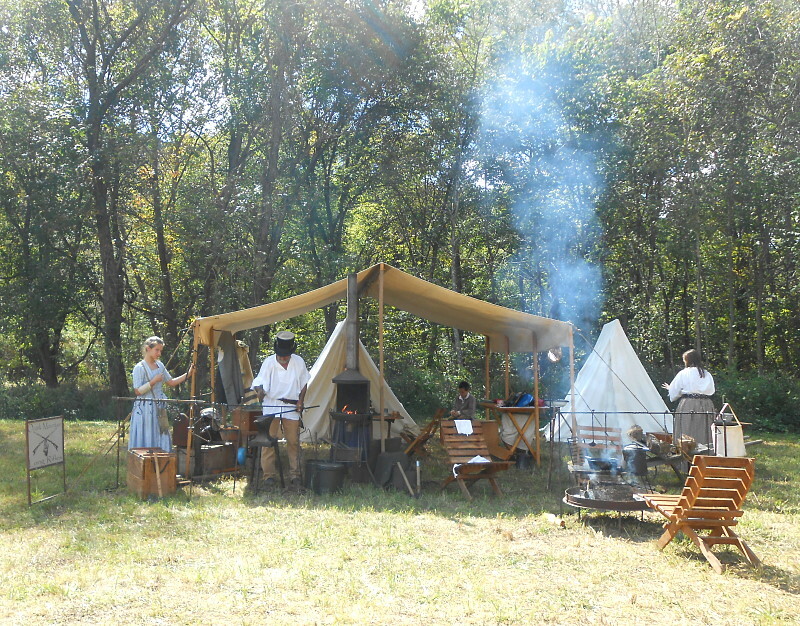 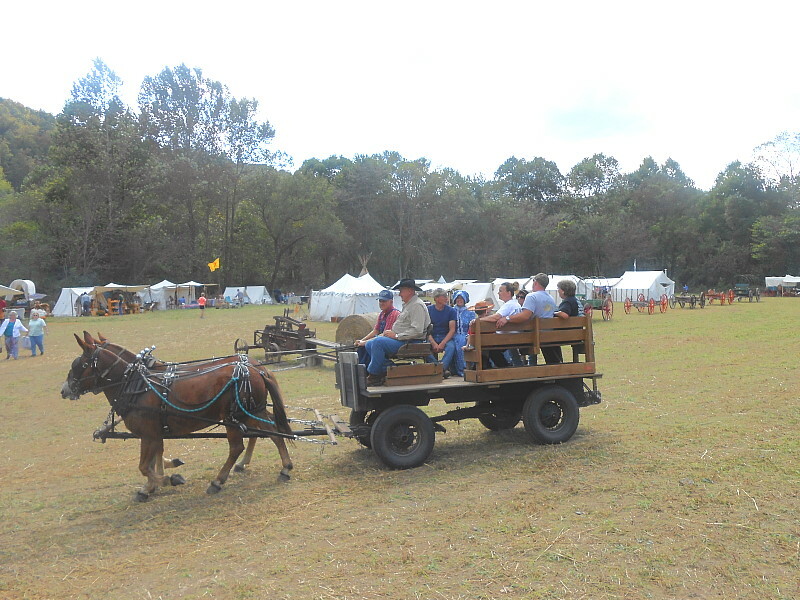 There was plenty of good food to be had at The Pioneer Heritage Festival. 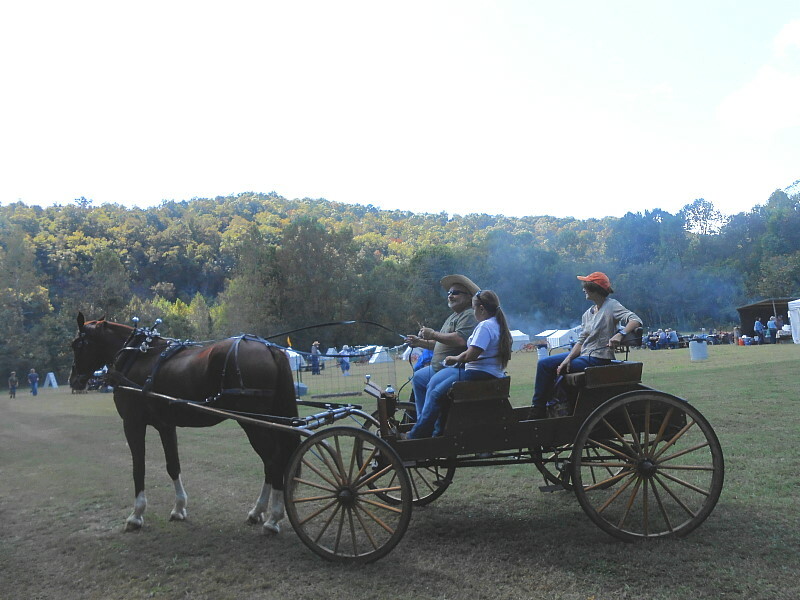 The Prominent Champion said he was on the creek bank all night catching that fish. 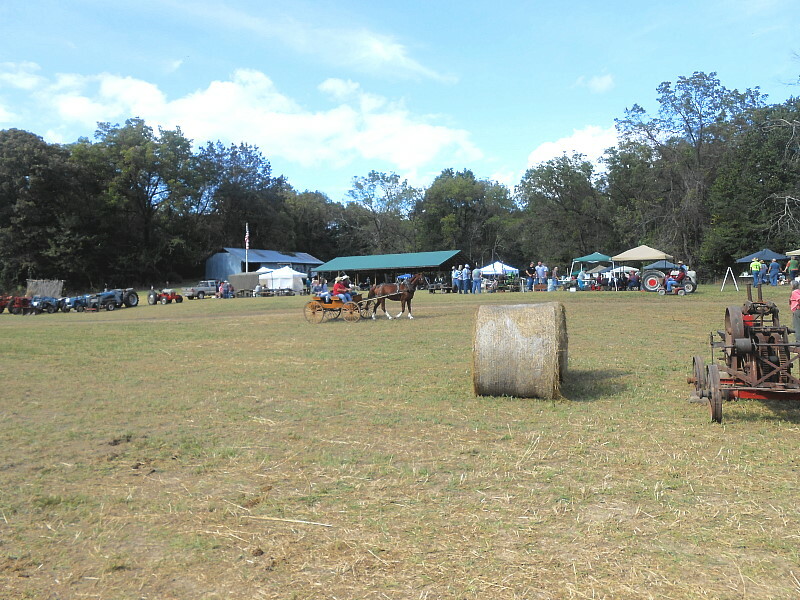 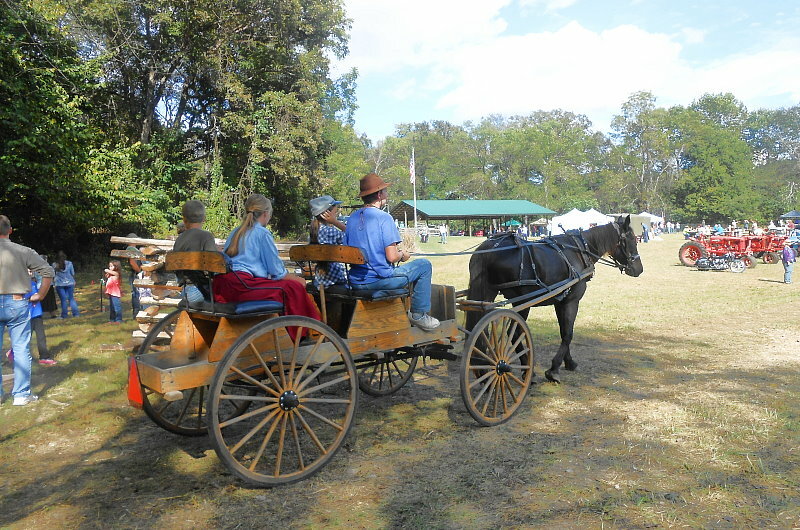 Many enjoyed wagon rides at the last Pioneer Descendant’s Gathering on the Thomas Farm. 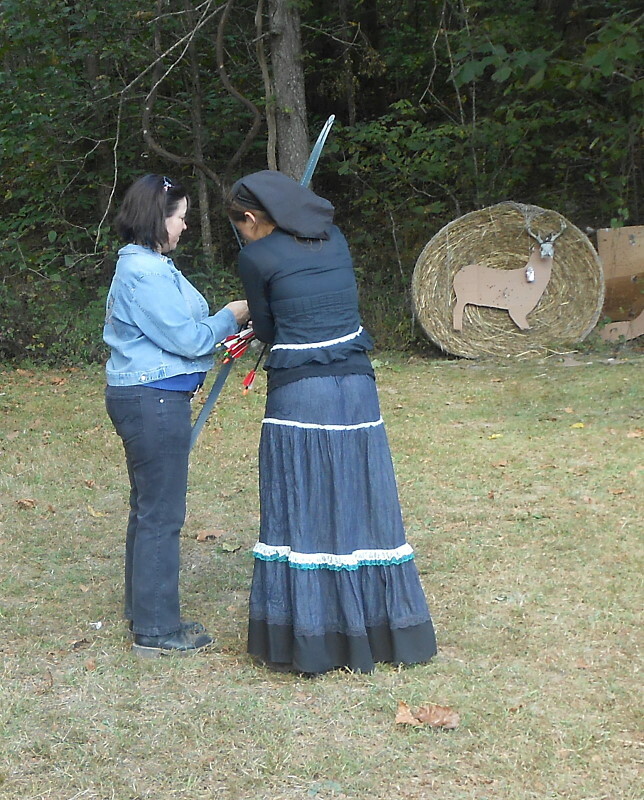 Rebecca Turcott–gets archery instruction from a young expert. 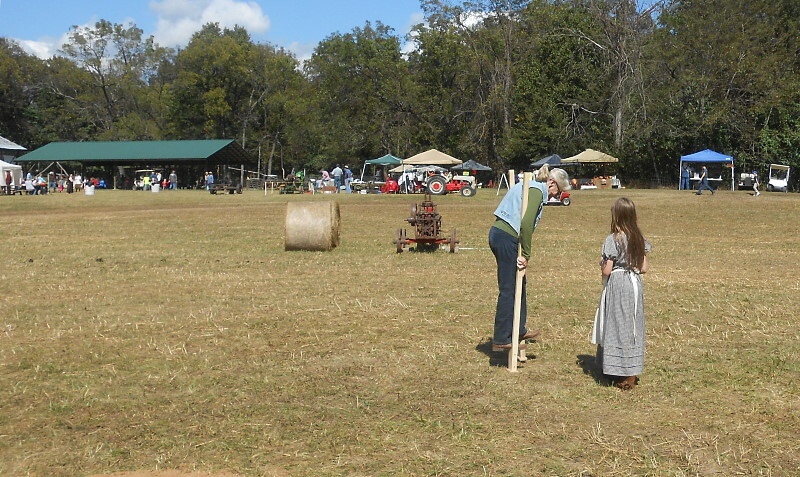 Nurse Nannette Hirsch took a stroll on stilts under the watchful eye of a young expert.